Silver Fox have spent over 30 years developing Cable Labelling & Cable Marking products to identify power, telecom, data, signal, instrumentation, fibre optic and control cables. 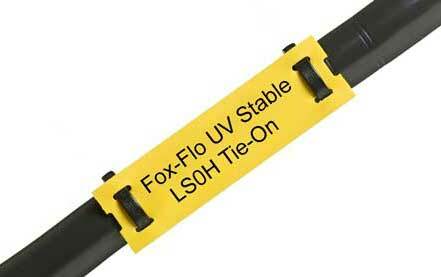 Silver Fox deliver a complete Cable Labelling solution. Silver Fox standard software is free ; other levels are available for free trial. 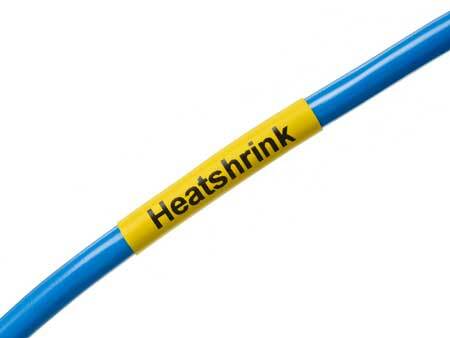 Cable labels are independently tested at recognised UKAS certified test laboratories in compliance with a number of different MIL and other standards. Silver Fox cable labels are in widespread service on rolling stock and infrastructure projects in the global rail industry - with Network Rail and London Underground approval in the UK for trackside and tunnel applications due to their low smoke zero halogen specification and overall durability and reliability in harsh operating conditions. Typical applications : trackside, signalling, CCTV, tunnels, station fit out and improvement. Silver Fox supply individual packs of cable labels and fully integrated cable labelling systems, using thermal or laser printing, for a wide range of cables, wires, optical fibres, panels, enclosures and equipment. 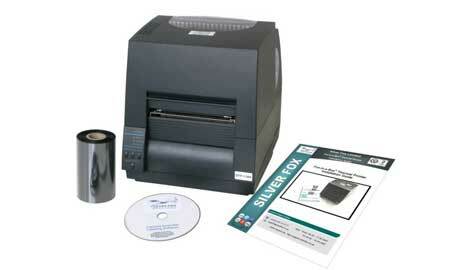 Silver Fox label printing systems include the market leading label printing solution, Fox in a Box. Fox in a Box gives customers a fast and simple method of printing cable labels straight out of the box. 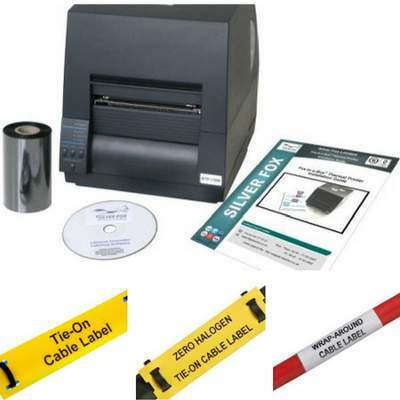 Silver Fox supply wrap-around, heat-shrink, two-part and tie-on cable labels, for thermal and standard office laser printers, plus their market-leading Fox in a Box thermal printing and cable labelling solution. Silver Fox Labacus label printing software permits users to make it easy to print cable labels from data imported to industry standard templates or own customised label layouts. T&D supply the complete range of Silver Fox Cable Labels - this includes thermal and laser cable labels.